The demonstration of medical device biocompatibility is an essential requirement for marketing authorization in all major markets. Gaining approval for a medical device requires the informed collection and evaluation of data to ensure a successful device regulatory submission. The evaluation must consider not only the active pharmaceutical ingredients and inerts (e.g., binders) but also, in the case of devices that will be in prolonged contact with bodily fluids, manufacturing residues and extractable compounds. In addition, leaching of constituents from medical devices can be a source of claims of adverse effects in device users. Gradient has the technical expertise to develop test methods or use available data to investigate these issues and establish safe levels of exposure for assessing potential patient risks. Gradient evaluated exposure to chemicals potentially released from a medical device. We reviewed previous toxicology testing and literature relating to its leachable chemical constituents and assessed the potential toxicological hazards of the medical device. Our analysis was used by the client in the context of obtaining Food and Drug Administration (FDA) approval to use the device in human clinical trials. Gradient evaluated a medical diagnostic gel's ingredients to determine their potential to produce skin sensitization or dermal irritation. We evaluated the concentrations of ingredients in the product in comparison to effect levels noted in human and animal studies. Our evaluation helped the gel's manufacturer understand the likelihood of dermal sensitization or irritation possible with use of the product as directed. 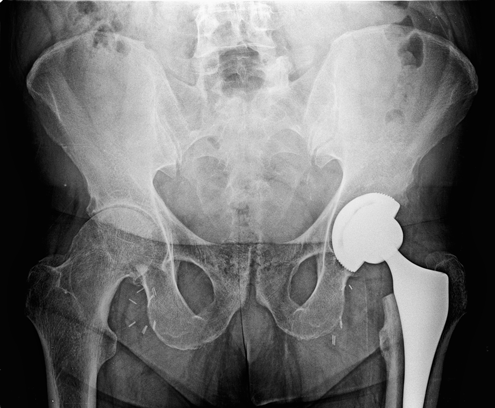 Gradient assessed the potential for adverse human health effects due to lubricating oil and fatty acid residues detected on several types of orthopedic implants. We reviewed literature regarding health effects of the base oil and other materials and established critical effect levels, which we compared to estimated exposure levels associated with the materials detected on the medical implants. Gradient conducted a California Proposition 65 exposure analysis of ethylene oxide residues (a byproduct of sterilization) on a medical device. We developed a model to track residue decay over time based on literature regarding desorption of ethylene oxide from polyethylene. The model results were combined with anticipated use patterns and indoor inhalation rates to assess risks for potential users. Gradient reviewed the literature for toxicity and metabolic information for rats and humans for an organic alcohol present as a manufacturing residue in a medical device. The data were evaluated to determine proper dose levels and regimen for a subchronic toxicity study intended to become part of the data submission package required for US FDA premarketing approval. Gradient’s chemists and toxicologists have the expertise and experience to place analytical chemistry data generated from medical delivery device studies into a biological context, providing a robust evaluation of the toxicological data and a determination of safe levels of chemical exposure. "Gradient" is a service mark and the Gradient Logo is a registered service mark of Gradco, LLC.